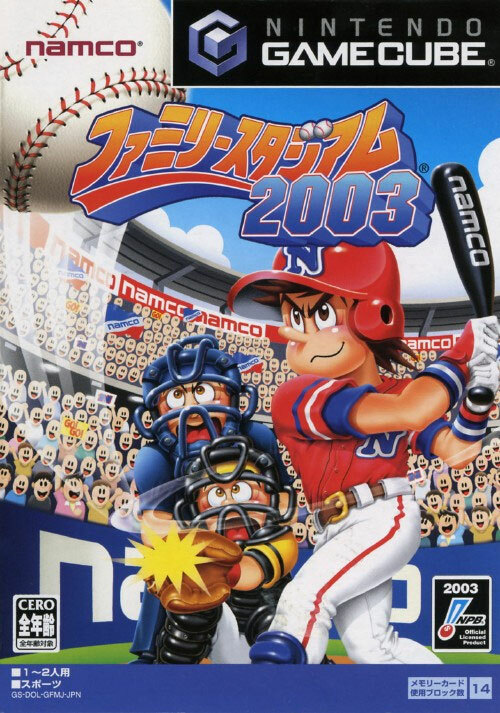 Namco's fine cartoon style best described as the Bero Flour Men playing baseball in appropriate caps rather than their usual bowler hats. The game engine has been finely tuned over the years with Namco and plays as well as World Series on the C64 back in the day. 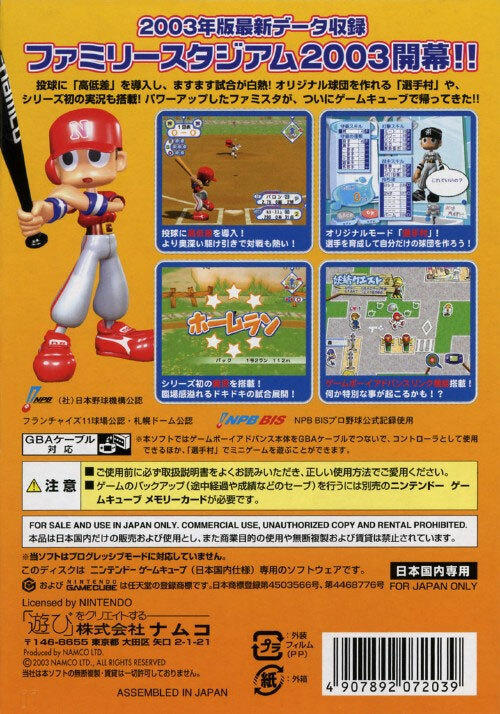 Features a GBA link up for an added dimension to play. Brand new. Comes with E catalogue with 115 GameCube titles detailed.